Advertisements are a type of primary source that actively engage people of all ages in rich discussions that provide historical context as well as investigations into STEM and social justice content. Use the links below to investigate STEM skills used to create 19th century innovations, the societal value of these innovations, social biases of the time, and the general shift from farm to factory. 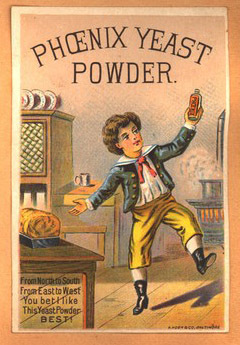 Most of the primary sources in this set are from the Library of Congress' webpage, "Emergence of Advertising in America: 1850-1920," a project of the Special Collections Library at Duke University. Advertisements often started as text in newspapers and then became much more visual when they were printed as individual cards. Use media literacy techniques like the ones created by the Media Literacy Project to analyze and compare the advertisements. http://creativecommons.org/licenses/by-nc-sa/3.0/us/. Use the template on the Lessons Plans page of this website to help analyze these and other advertisements.